Whatever occurs at the level of personhood and culture is deeply affected by functional processes and changes in the individual's biological organism. Thus, movement from one sublevel to another in the socio-cultural system in which a child is born normally is related to the factor of age, particularly to biopsychic periods of transformation such as puberty, change of life (or menopause), and the progressive deterioration of biological functions in old age. A person also experiences sociocultural transitions from narrower to more inclusive areas of interpersonal relationship if he or she moves from a village to a city, from a parental home to a university, or sooner or later shifts his or her sense of involvement and concern from a family group to a nationwide business or governmental organization or even to international issues and the future of mankind under the menace of a nuclear holocaust. Unless precipitated by unpredictable catastrophes, all basic changes � be they biological, biopsychic, sociocultural, or even more far reaching � require a period of transition. If a critical event, decision, or move precipitates the change, a brief or long period of conscious or semiconscious preparation for or expectation of the actual occurrence nearly always precedes it, and the latter is followed by a time of readjustment. If the change is radical enough � if it affects the very roots of the being and the framework of consciousness � it is a crisis. A crisis (from the Greek krino, to decide) is essentially a series of internal or external occurrences that forces a person to take a decision or (negatively) compels him or her (more or less unwillingly) to alter his or her way of feeling, thinking, and/or behaving. The alteration may affect relationships with other people, the environment, and/or society as a whole; or it may manifest as an inner transformation, a new perspective on life and the universe, a deep new feeling of what is valuable and "real." In many ancient societies, a great deal of attention was paid to periods of biological and psychosocial changes resulting in a new type of relationship between the person experiencing the transformation and his or her community. "Rites of passage" were devised to accomplish definite purposes. Modern individualistic and materialistic societies usually fail to understand and appreciate these purposes and rites, and this failure has serious, negative ramifications in the psychological and sociocultural development of a personality. This does not mean that rites of passage or ritualistic processes are absent from Euro-American society; many sociocultural processes (especially in education, business, and politics) are de facto ritualistic. However, the element of "sacredness" is absent from them. If it is present theoretically, as in Catholic sacraments, most of the people performing the rites only superficially realize the essential meaning and vital challenges the rites were meant to convey to those experiencing them. According to the Catholic tradition (which sadly is being diluted today), a sacrament has two aspects. It is a symbol of the progressive participation of a person in the community of the Church; and it theoretically establishes, actually and psychically (or spiritually from the Church's point of view), a two-way relationship between the person and God, through the intermediary of a consecrated servant of God, a bishop or priest. This vertical relationship begins with Baptism. From a theological point of view, it is "substantiated" and made effectual by the sacrament of Communion in which the member of the Church ritualistically partakes of substance of the "Body of Christ" in which we all "live, move and have our being." From a holarchic point of view which seeks to interpret spiritual tradition anew, this Body is referred to or is a symbol of the spiritual level (the "pneumosphere") of the planet earth. The sacrament of Communion symbolically should bring to the communicant the sustaining power of the realization of being fully human in a universal, planetary sense. This obviously is not what happens to the present-day child who passes through the ritual of a "first Communion," and it probably was not the original meaning and intention of the ritual, which was derived from the practice of communal meals in ancient "Brotherhoods." Nevertheless, the Catholic rite of "first Communion" can be interpreted as the Christian equivalent of the puberty rite performed in most tribal societies; but since young children are allowed to receive Communion today, the connection has been lost. In tribal societies, for a boy the puberty ritual usually meant leaving his mother's psychic womb and qualifying for participation in the tribe as an individual member. In India, the young Brahmin received his "sacred thread" (symbol of the thin current of spiritual force linking the outer person with its triune spiritual entity) and in some cases left his maternal home in search of a guru, a spiritual father-mother. The native American boy, after days in the sacred kiva (which represented the psychic womb of the tribe as a consistent and organic whole), was sent into the forest to fast until he received in a vision his "true name" � the certification of his place and function in the tribal organism. In Africa, boys and girls had to pass through various tests and a ritual circumcision symbolizing a new openness to the inflow of the forever fecundant principle of life. 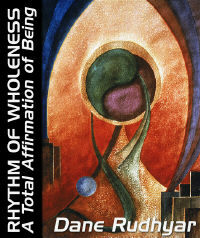 In all cases, these rites originally were meant to sacralize as well as ritualize the biopsychic activation of sexual, reproductive energies and the archetypal end of a childhood which had been the embryonic stage of personhood within a safe, womb-like home. After years of study or further biopsychic tutelage, the process begun with the rite of puberty was brought to a further level in the ritual of marriage, which held the promise of actual progeny and thus of the cultural-religious as well as the biological perpetuation of a particular tribe, race, creed, or nation. In the Catholic Church, the repetition of Communion is intended to keep the root-power of the Church alive and vibrant in the participant at the level of collective psychism. The ritual of matrimony, in which God is understood to be invisibly present through the priest, insures the dedication of the intended future progeny to the perpetuation of a religious community, which is no longer tribal but considered all-inclusive, all-human, and thus "planetary." This "universal" community is believed to be the "bride of Christ," the planetary matrix out of which a "Communion of Saints" � a spiritual organism to some degree comparable to what modern theosophy calls the "White Lodge" � gradually is emerging, century after century. The Catholic sacraments (baptism, first communion, marriage, and extreme unction for the dying) are, or should be experienced as, rites of passage; Protestant Churches, Judaism, and most other organized religions also have their own rites of passage. Unfortunately, all have become primarily social formalities. Commencement (graduation from college) is an instance of a secular rite of passage relevant to a change of social status; so is the coronation of a king or the inauguration of a president. All such rituals, however, have little value and even less "sacred" meaning if they are not (1) conceived and passed through as a conscious preparation for a crisis of transformation, and (2) referred to an encompassing "greater whole" - be it the tribe. Church, nation, humanity-as-a-whole, or Christ as the planet's mystical body - that actually or symbolically participates in the rite. When such rituals are understood and performed in their original meaning as truly functional events, they focus the power of a new level of existence (a new "greater whole") upon the person or persons experiencing them. A rite of passage is a rite of empowerment and a true initiation into a new realm of being in which the experiencer receives the power to operate and is accepted by new peers. Only then can the new initiate have horizontal relationships with his or her elders; until then these relationships inevitably are vertical, even though their character as such may be disguised by kindness or compassion. It is also most important that the would-be initiate experience the rite and the passage in clear consciousness of what it is meant to accomplish. The elders, who already have experienced the passage and are established at the new level, usually prepare the aspirant for the ritual of empowerment beforehand, so that the person being transformed can pass through it as fully conscious of its purpose as possible. In an unprepared person, deep-rooted changes from one sublevel of personhood to another may manifest as ominous feelings or forebodings, internal mental arguments, and/or psychosomatic pressures or illnesses. The total meaning and purpose, indeed the essential causes of these, usually are unknown or unclear to the experiencer or distorted by his or her rationalization of a self-protective ego. Ritualization gives meaning � be it collective or generic, psychic or biological, or mental and spiritual � to such a crisis by revealing it as a necessary phase of transition between two levels (or sublevels) of an impersonal, more or less universal process which inevitably obeys evolutionary rhythms and "laws." The understanding that the latter operate not only within the particular individual in crisis of transformation but in all human beings (and in one form or another in all systems of organization, be they material, psychic, or cosmic) should help dissipate the particular individual's resistance and fear, and help him or her pass fully consciously through the crisis.